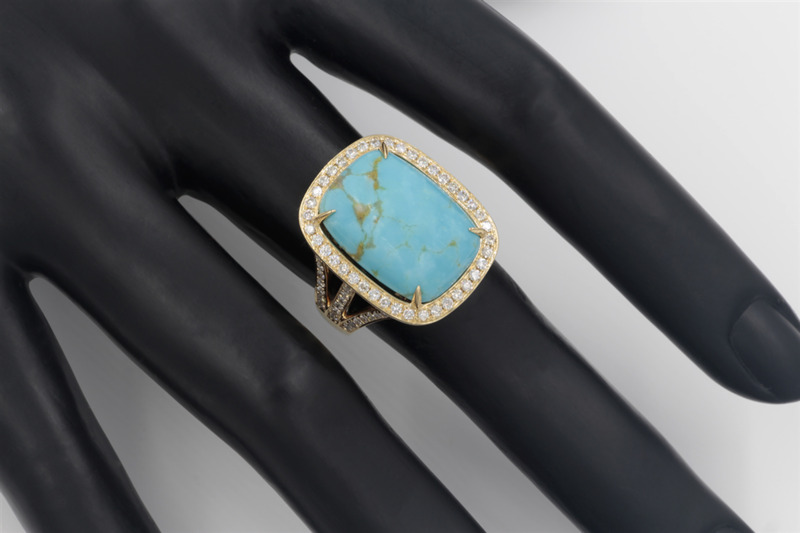 A stunning addition to your jewelry collection. 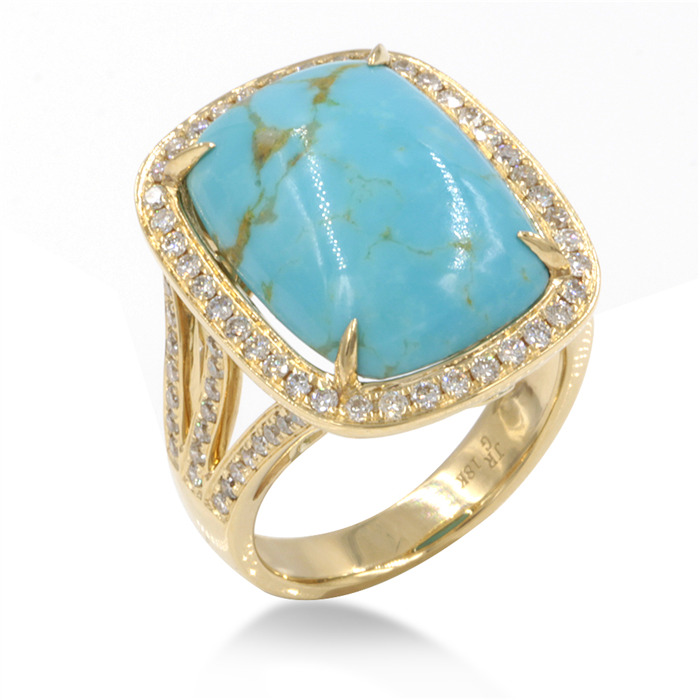 The natural turquoise is highlighted by the 18K yellow gold setting. Diamonds add elegance.